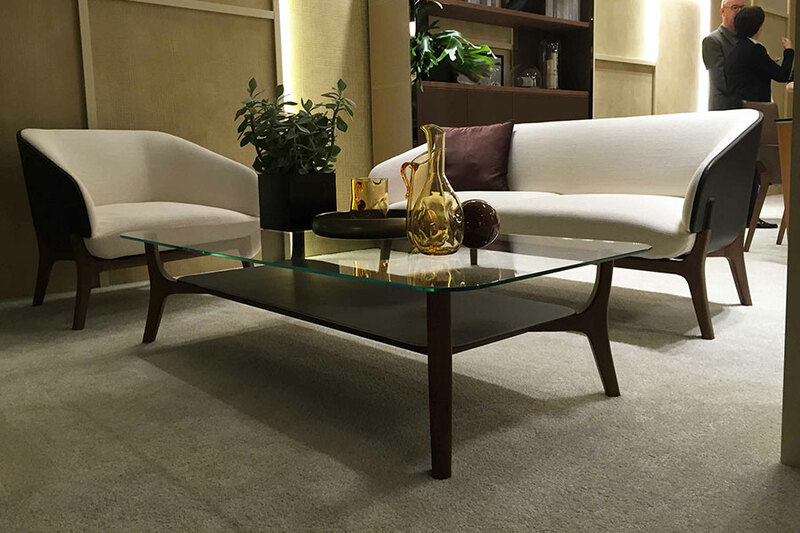 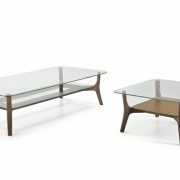 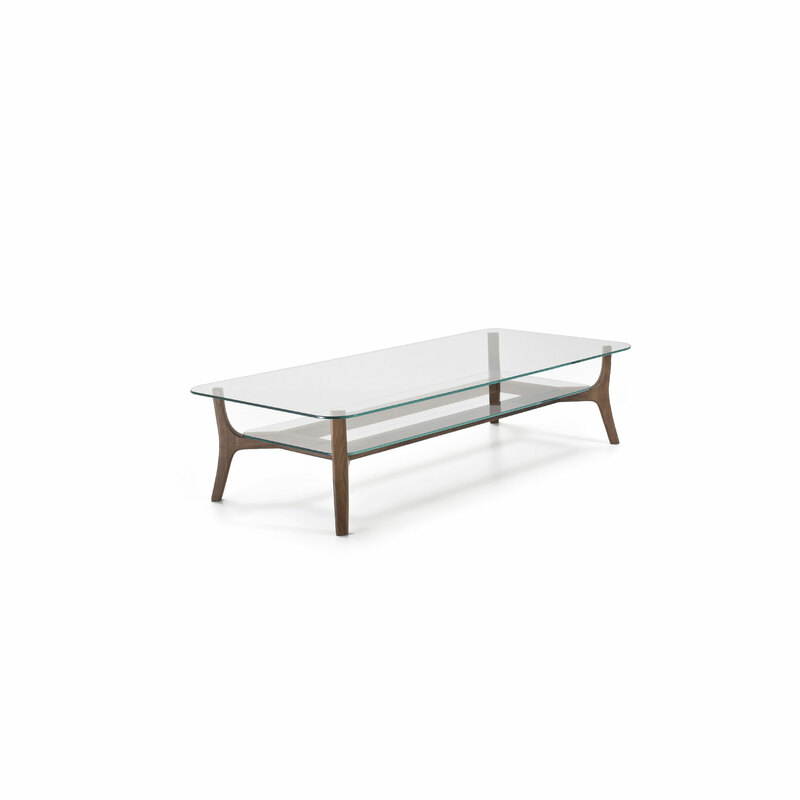 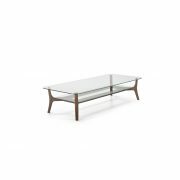 The low tables have the upper and lower top available in extralight glass or covered in saddle leather or leather . 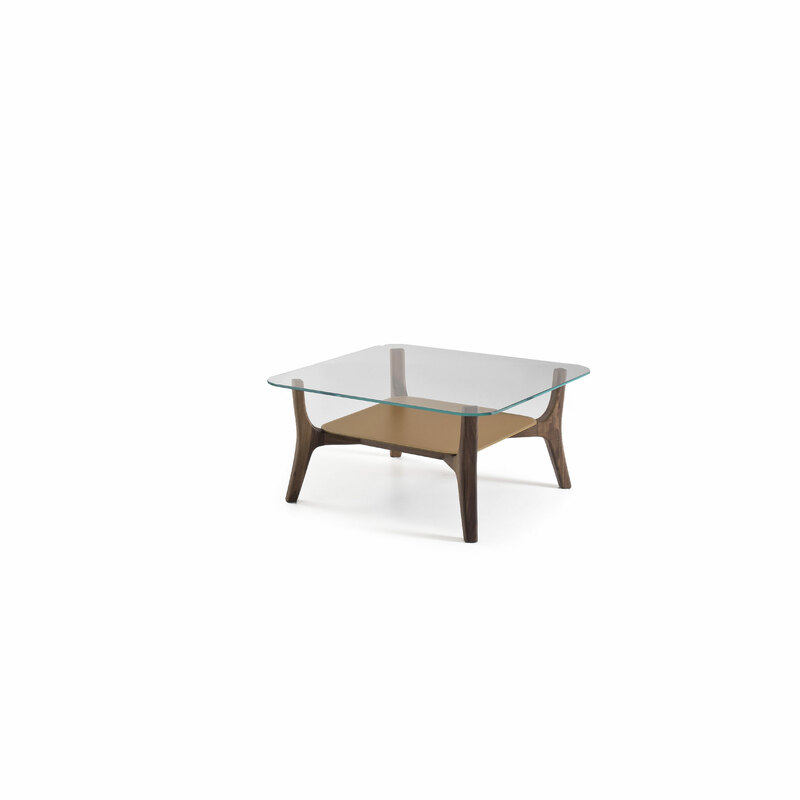 The base is in solid black walnut wood with matt finishing “wax effect”. 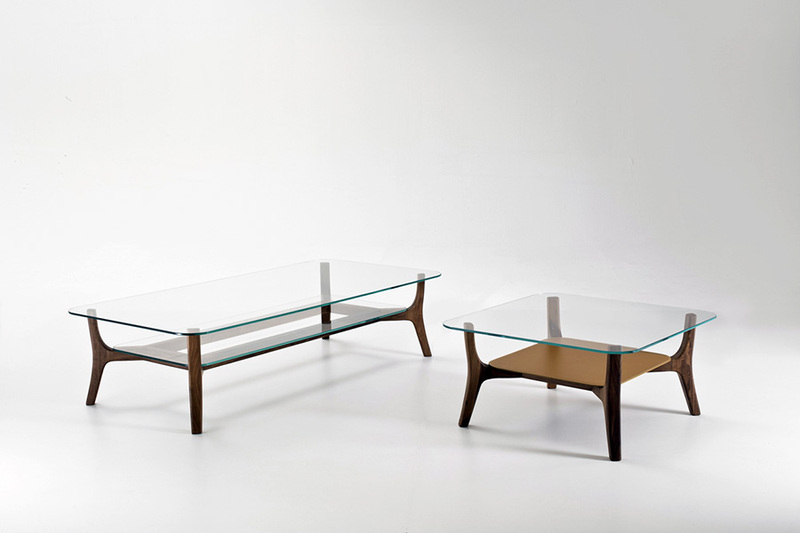 Savile Row collection. 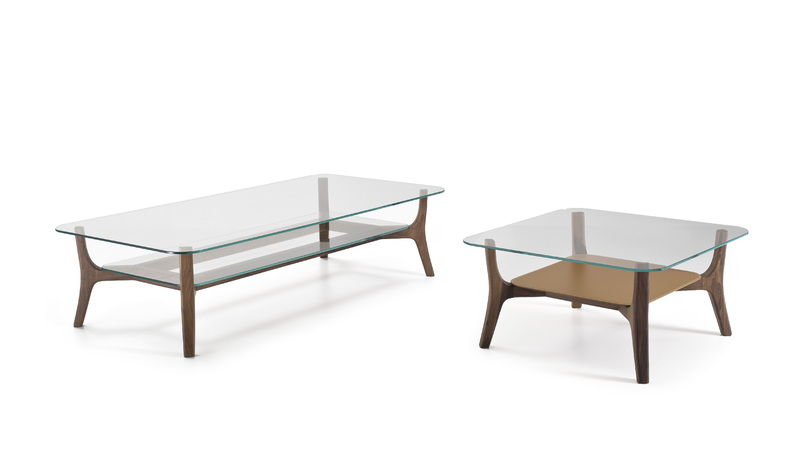 The low tables have the upper and lower top available in extralight glass or covered in saddle leather or leather . 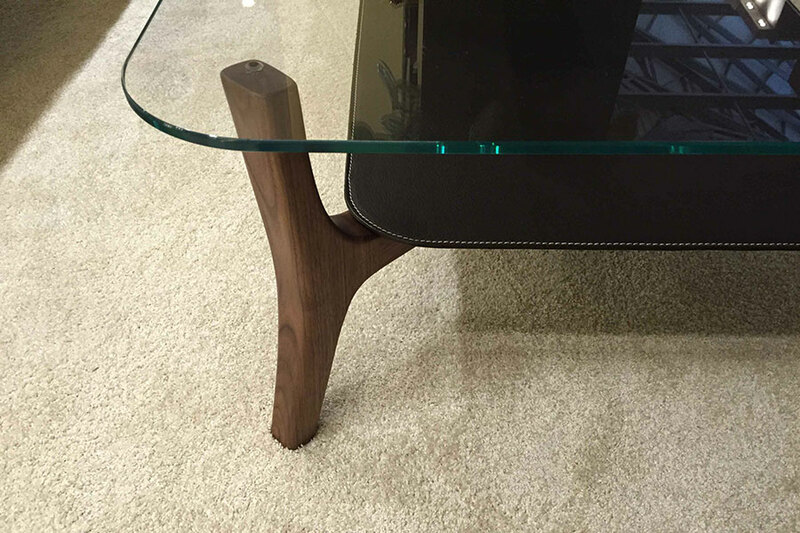 The base is in solid black walnut wood with matt finishing “wax effect”.